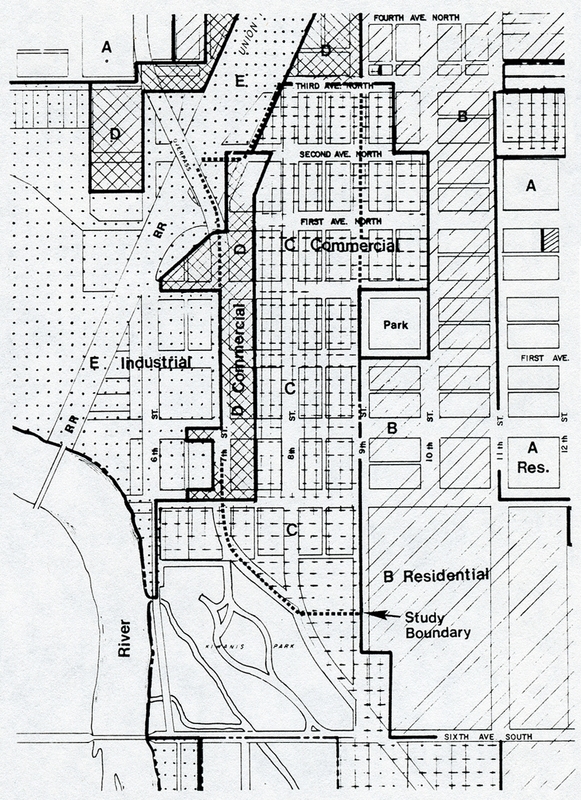 Figure 16 indicates the existing zoning in and around the study area. 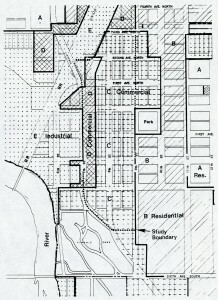 The “C” Commercial District zone (general commercial) covers the majority of the study area except for a strip of “D” Commercial District zone (warehouse and light manufacturing) that is situated along a portion of 7th Street. A large industrial area is located to the west of the study area, including an old warehouse district and the Union Pacific Railroad mainline track. Just to the north of the study area lies a small but very visible onion packing area and warehouses. Generally, to the east of the study area, there are a few commercial sites such as the U.S. Post Office, but the majority of the area is an attractive residential neighborhood. Two parks are adjacent to the study area, including the one-block Central Park and the large Kiwanis Park along the Payette River. The retail center focuses along 8th Street from 1st Avenue North to 1st Avenue south. Other areas include a concentration of social service and fraternal halls at the north end of the study area and religious facilities and residences along the eastern boundary. A number of residential units are also scattered throughout the southern part of the study area.